Wow, this is great. Thank you @ Yola. Please how do I download Yola app on any of my device? Thank you for contacting Yola Support. Our Support Team is taking a much needed holiday to spend time with their families, enjoy the festive season and recharge for the new year. We will be offline on 24, 25, 26, 27 December and 1, 2 January and will respond to urgent emails only between 28 December and 30 December. During this time we will be monitoring our software and services and will respond in the event of an outage or an emergency. However, we will be closing all non-urgent cases between 24 December and 2 January. Live chat will not be available from 24 December to 2 January and will resume as normal on 3 January. You can get answers to most questions through our extensive [knowledge base](http://www.yola.com/tutorials) and our [Community Forum](http://forum.yola.com/yola). If your problem is still not solved by 3 January, please contact us again and we will gladly assist you. Thank you for your support in 2016 and your understanding while our team takes this well earned break. We wish you and your family Happy Holidays and a prosperous New Year! We apologize for missing this post. 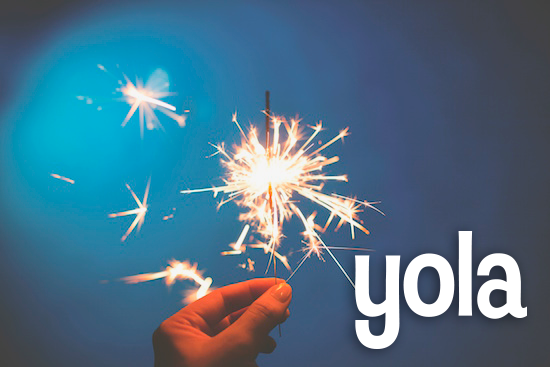 Currently, we do not have a Yola app. You need to use a desktop computer or laptop in order to use Yola. We hope you check us out! Awesome post.. I love Yola.. it’s easy to go and saves ton of time to me.. Thanks Ali! We’re glad to hear you’re loving Yola! Nice write-up, thanks for sharing. always being update with the technology will help to achieve success. really new and fresh ideas to try out in 2017. Most of all i like that with the reading, I will definitely try that this year. Gifts and Flowers help in strengthening the emotional quotient and bonding between both the parties. Actually every Gift has their own importance and presenting a gift is one of the best ways to share someone feeling. Send Gifts to Thailand at reasonable price through any online shopping store and share your happiness and love with your dear ones. Order online for Flowers Delivery in Thailand and create an unforgettable impression in the mind of your dear ones.